Keep your trophy selections fresh, with the latest designs and exciting finishes. 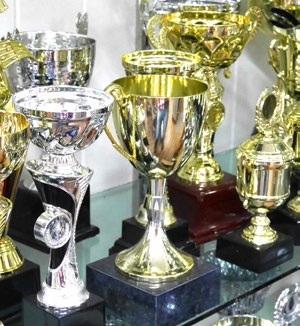 Whether you are in sports, academia, clubs, business or non-profit your best and brightest will treasure a trophy that stands out from the rest. 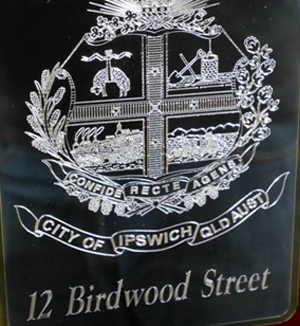 With such a large range of options available, we offer a consultation service to match the best trophies to your needs, tastes and budget. 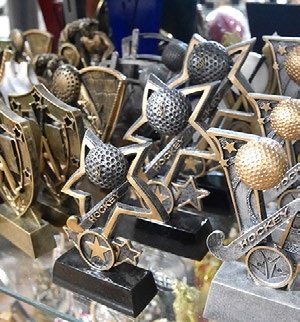 In addition to our display of prize cups, shields and shelf trophies for the well known events, we provide creative options for hard-to-find sports and pastimes. 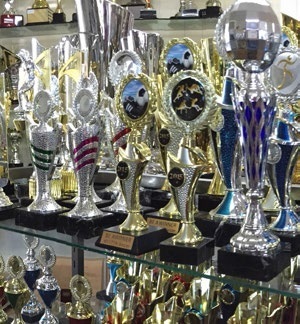 Trophies for all occasions and custom-made for the hard to find sports. 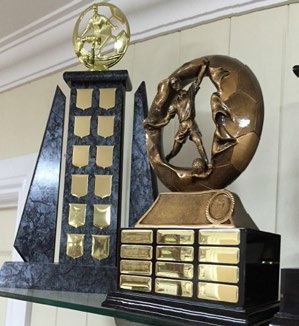 The latest trophy designs for all sports, including custom solutions. The best and brightest at your college, university or school deserve a trophy to treasure for a lifetime. Cups in all shaps and sizes in silver or gold, up to a height of 830mm! Great for business events and sales awards, Encourage your star workers with new trophy styles and designs. We have the classic shields and plates for your star teams. 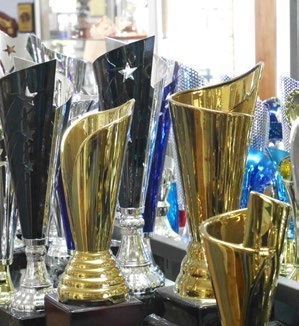 Or take a look at some of the new trends in shapes materials to brighten the trophy cabinet.